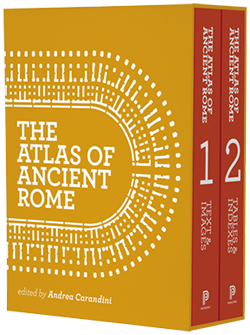 The Atlas of Ancient Rome is monumental in scope. It examines the city’s topography and political-administrative divisions, trade and economic production, and social landscape and infrastructure—from residential neighborhoods and gardens to walls, roads, aqueducts, and sewers. It describes the fourteen regions of Rome and the urban history of each in unprecedented detail, and includes profiles and reconstructions of major monuments and works of art. This is the only atlas of the ancient city to incorporate the most current archaeological findings and use the latest mapping technologies.